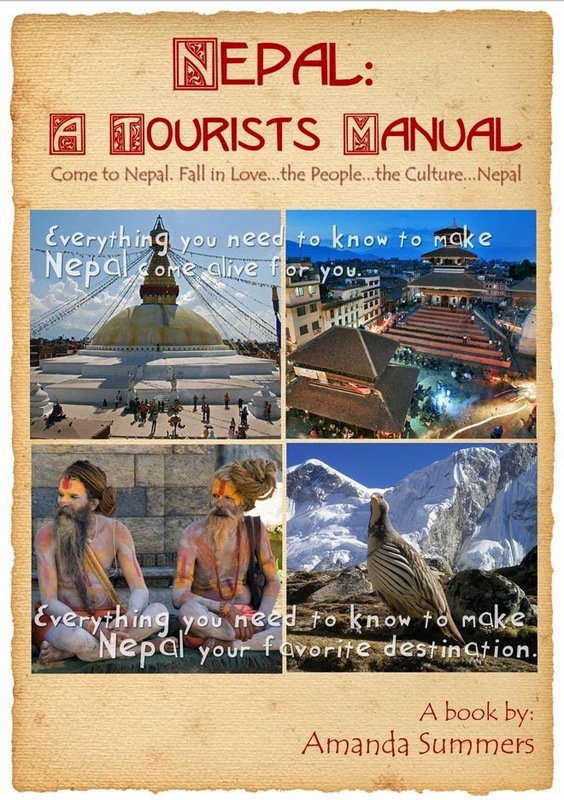 Nepal: A Tourist's Manual: Wishing you a very Happy Holi! Wishing you a very Happy Holi! 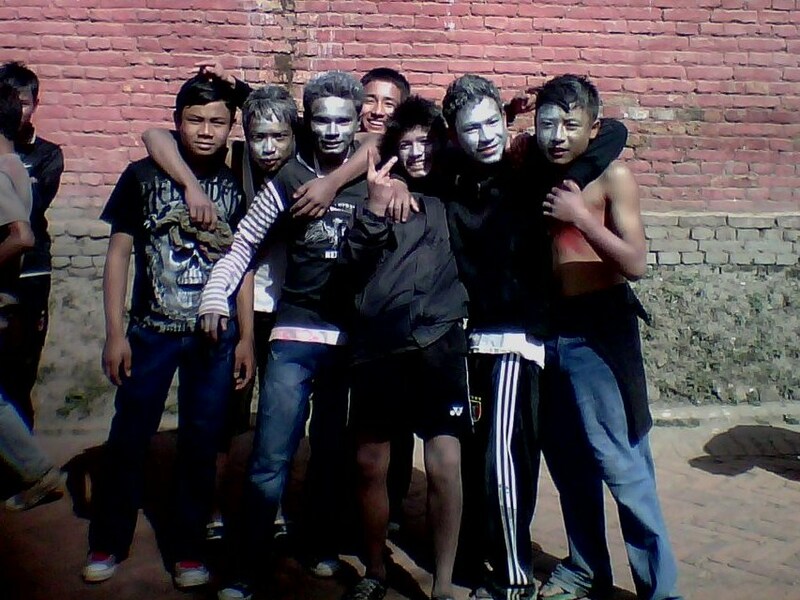 Holi is my absolute favorite festival here in Nepal. It is just so much fun to play with these gentle children and young people. Soon I was out the door with my own water gun and powders. Just as I began to feel comfortable being outside where anything could happen, walking down a narrow street, I felt a sting to my head and then the shock of cold wet water bouncing off me. As I looked down at the water running off my head it looked like dirty water and I felt a chilling fear come over me. I stood there not knowing what to do. Then I heard a voice say, “It’s colored water,” so I looked again. Yes, it was green, but colored with the paint powder, not algae. I laughed at myself for being such a ‘tourist.’ The weather was perfect for water gun fun and there were little empty plastic bags all over the street from the morning’s festivities. The children would throw water balloons, buckets of water or just turn on a hose and douse whoever would be within target range from the rooftops above. Another tactic was to jump out of an alley for a surprise attack with a small plastic bag of water and then disappear so as not to get a counter attack. I found it quite lovely as to how gently the young people applied paint to me. They were so respectful and paused to make sure I wanted to play Holi. Many older people stay home on Holi because by going outside you are signing up to play. If you do not want to play Holi on this special day you would need to stay inside or be very careful. Always wear old clothes that you don’t mind ruining on Holi. The paints can stain clothing and even be difficult to get out of hair. 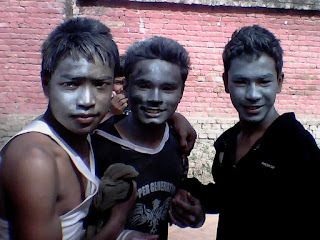 Darbur Square was a hub of activity with a procession of young people walking by in either direction with powder paints and applying them with the “Happy Holi” greeting. It was a very jubilant atmosphere. 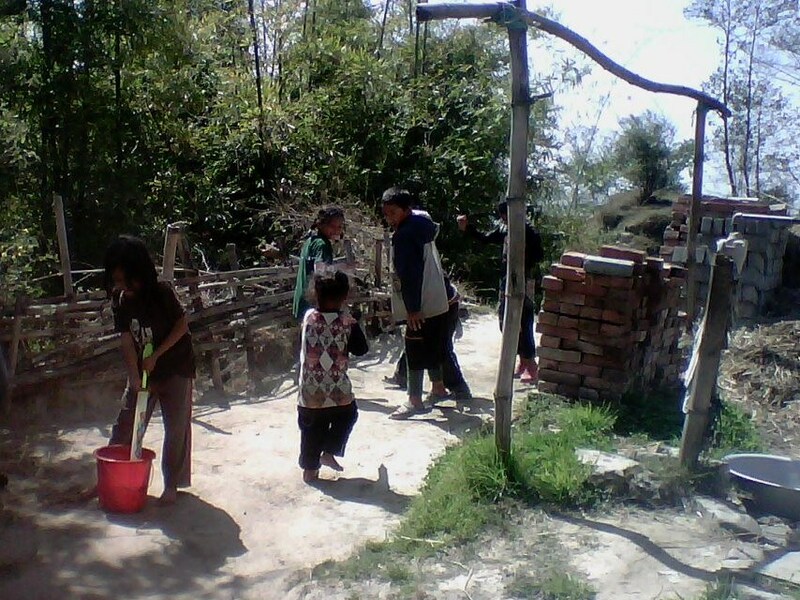 Next, my assistant and I were on our way to experience Holi from a village prospective. Children and young people were outside playing everywhere. As we drove by we would get blasted by plastic bags filled with water or a hose. The weather was perfect for it and by the time we were bombarded the next time we were just about dry again. The euphoric mood was everywhere. Unlike in America during our Halloween celebration, there is seldom a parent in view. 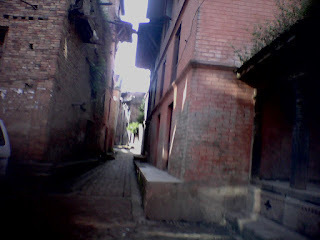 The children ‘run the streets,’ but in relative safety due to the culture that considers everyone to be related. One time I asked a merchant if there was a problem with the street beggar kids steeling items left outside on the display tables. Not a problem. Merchants never seem to be at their shops, so it would seem to be easy to shoplift. The way the society works is very interesting in that petty theft is almost nonexistent. 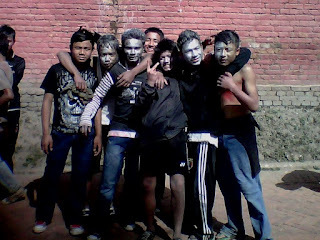 Boys being boys, last year while playing Holi in Kathmandu I noticed many of the teenage boys applying paint with both open hands to the young teenage girls’ breasts as they walked by. Due to my age, I was unaffected by any inappropriate touches. It is a common practice with Holi pranksters, like Halloween in the west, to do more than just play innocently. The police are cracking down on young men who through water at women who are not playing. We stopped for tea at a local shop and it seemed few children were without face paint-or ammo. This is a national holiday and few stores were open. The children got the day off from school to play. What a lovely concept, to have a national play day. Next, we brought some water guns for Deependra’s children, my assistant and guide for the day. 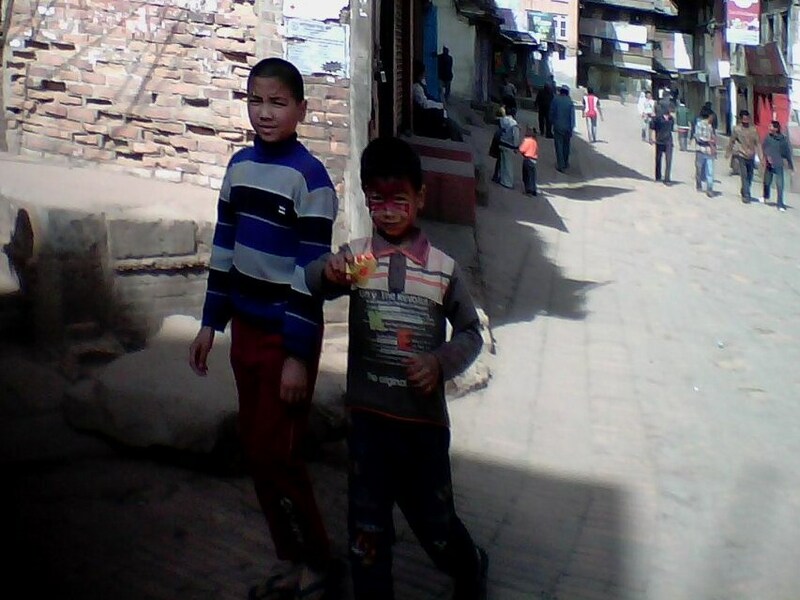 Even Deependra’s two year old son seemed caught up in Holi. If you are young, or young at heart you will enjoy this magical day. It is a day of fun, but it is rooted in ancient history. It is a story of good winning over evil and a lovely tradition of celebrating it. Holi is celebrated during the first full moon of March or last full moon of February and is well worth the experience, particularly if you are bringing children with you on your vacation to Nepal. Other than the price of a squirt gun, balloons and powder paint, this is an amazing free activity. Not only can you experience this as I did, but the days leading up to this day have other activities, as well. 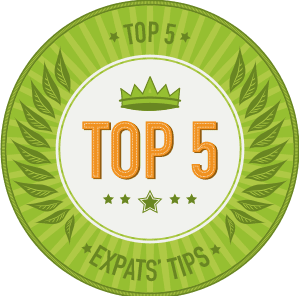 Do a little research for the activities you have an interest in. It is quite easy to find places at which to celebrate. 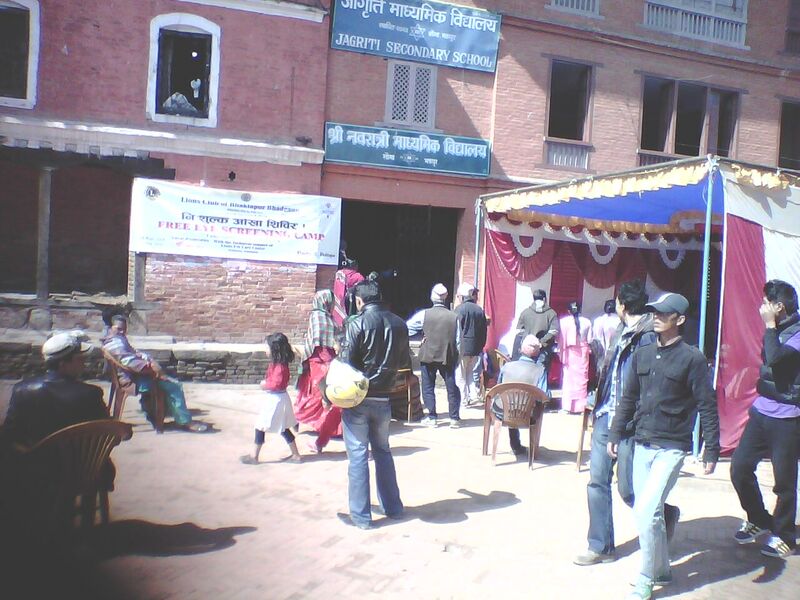 During festivals like Holi, you can see free medical service camps set up for people who cannot afford health care. This one was for eye exams. 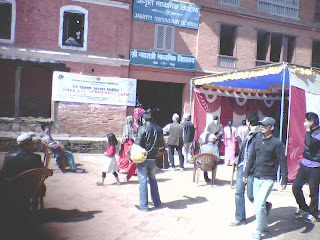 As I suggest in my book, Nepal On a Budget, it is usually better to donate or volunteer with a nonprofit with an international presence (INGO) than a small, local NGO.